Are you captivated by the magic of the Rocky Mountains in winter? 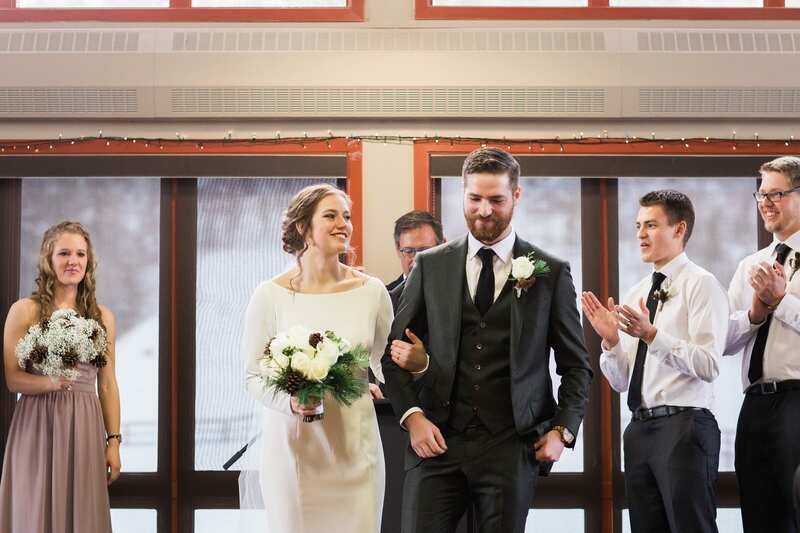 With picturesque views of snowcapped peaks, plenty of rustic charm, and tranquility that’s sure to leave you feeling refreshed, Canmore is an ideal location for winter nuptials. Treat yourself to a mountain getaway that allows you to escape the hustle and bustle of city life, exchange vows and celebrate surrounded by your friends and family, and then take advantage of the natural playground on your doorstep. 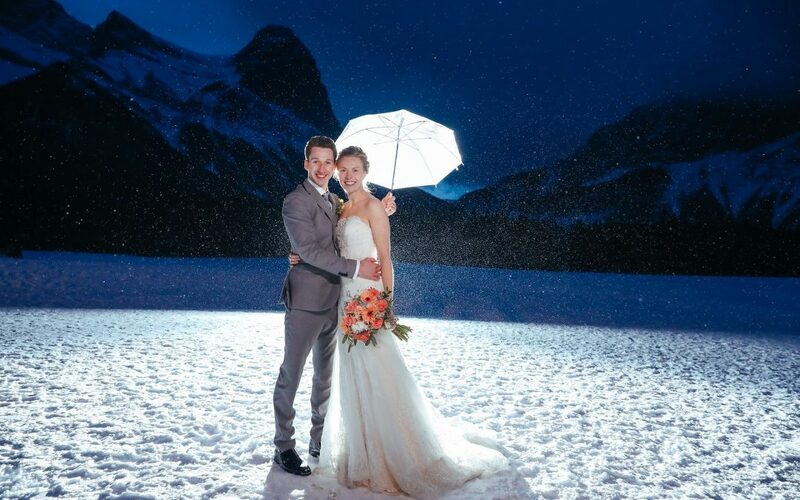 Discover how to turn your wedding into the ultimate winter getaway below! Even with all the joy and excitement surrounding your special day, there’s no denying that weddings can be stressful for both the wedding couple and guests traveling from out of town to attend. As a premiere relaxation spot, Canmore is the perfect location to unwind and recharge before your wedding. Arrive a few days early and treat yourself to a day on the slopes followed by a dip in the hot tub to warm up. For a rehearsal dinner, give the whole wedding party the chance to experience an authentic winter ski town vibe by dining in a cozy restaurant that features a crackling fireplace. Take in the sights on one of Canmore’s various trails and lookout points. Once your festivities have come to an end, you’ll have the perfect opportunity to enjoy the area further. Extend your stay in our Rocky Mountain winter wonderland and consider celebrating your nuptials with by taking an adventure together. Why not try something new and experience a dog sledding tour, sleigh ride, or even treat yourselves to a relaxing dip in the nearby hot springs. Whether you love to get your blood pumping, or to bask in the lap of luxury, Canmore has the perfect fit for every couple! Ready to learn more about planning your dream winter wedding escape?